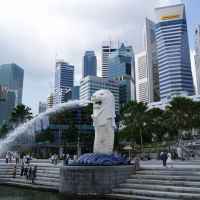 Singapore, an island city-state off southern Malaysia, is a global financial center with a tropical climate and multicultural population. Its colonial core centers on the Padang, a cricket field since the 1830s and now flanked by grand buildings such as City Hall, with its 18 Corinthian columns. In Singapore, it is located the red-and-gold Buddha Tooth Relic Temple built in Chinatown in 1820. Any primary school student will know the story of Sang Nila Utama, a prince from Palembang who saw a creature he thought was a lion, and duly named the island Singapura, which means Lion City in Sanskrit. But truth be told, there were no lions ever in Singapore. Well, except now, in the zoo. The Merlion, a half-fish, half-lion beast, is a fitting symbol of Singapore. Here’s why – The “Singa” or lion represents the animal that Sang Nila Utama saw, and the fish is a tribute to Singapore’s history as “Temasek”, an ancient sea town. 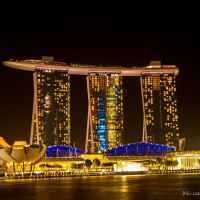 But Singapore is much more than the sum of its numerous attractions. It’s constantly evolving, reinventing, and reimagining itself. It’s where foodies, explorers, collectors, action seekers, culture shapers, entrepreneurs, businessmen and socializers who meet, share ideas and stimulus and give their contribution in creating this interesting, innovative, dynamic and forefront city we know today. Enjoy the Best Airport in the world (nominated for 28 consecutive years!) experience on board of a luxury private jet. Charter your jet and fly non stop to Singapore. 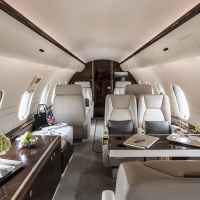 Additional services like private limo, helicopter transfer and concierge assistance are also available at Fast Private Jet.